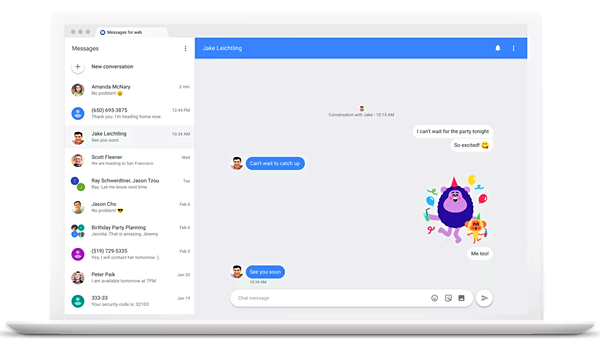 Recently, Google rolled out an web version of the Android Messages application that allows users to send or receive text messages (as well as stickers and images) to friends and family directly from their PC or Mac.This This function provides users with greater flexibility to choose how and where to talk. Here in this guide, I am going to share with you how to use the Android Messages for Web app. What is Messages for Web? The web version of the Android Messaging app is a service that allows you to send and receive text messages from any web browser. 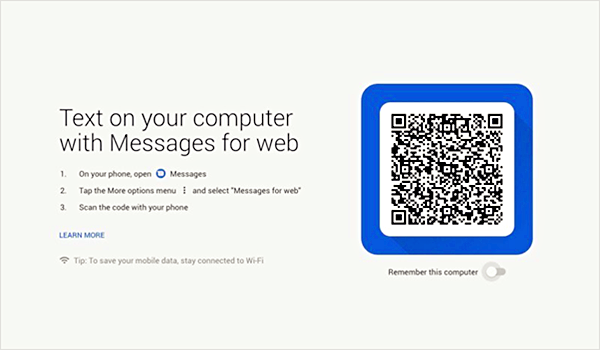 This feature supports all current mainstream desktop web browsers and needs to be paired with Android phones by scanning QR codes. Although this application does not currently support voice calls from the browser, it allows us to insert emoticons or images like in an Android app. As long as your phone is paired with the computer, the text messages on your phone will be synced to the computer, so you can easily browse or manage the text messages on your computer. Wonder know how to use the new features of the Android Messaging app? Just follow the steps given below! Step 1. To get started, you need to enable Wi-Fi or data connection and install the latest version of Messages for Web application on your Android phone. Step 2. Open the “Messages” app on your phone and tap the three-dotted menu on the top-right corner. From here, select “Messages for Web”. Step 3. On your computer, visit the “Messages for Web” site in a browser, like Chrome or Firefox. Then turn on the “Remember this computer”option below QR code. Step 4. Now, scan the QR code with your Android phone. Once connected, you’re able to send text messages to all your existing contacts via PC or Mac. In order to avoid the process of scanning the QR code, you can click the three-point icon to enable “Remember this computer” in the settings to keep your computer paired with your phone. If you are using a public computer, others can easily access it, please don’t open “Remember this computer”. If you want to revoke your web browser’s access to your conversations and messages, or sight out of Messages for Web, you can do this quickly with your Android phone. Going back to the “Messages for web” area of Android Messages, you can choose to disable a single computer or all computers by clicking on it. Messages for web is closely related to your Android phone and cannot be used separately from your phone. If your phone is turned off due to battery drain or for some reason, you will not be able to send or receive any messages from your computer. For starters, when you tap the “+” icon on the left hand side of the compose bar, you’ll be able to search for GIFs to add to your conversation. If you’re busy and have no time to type, there is a Smart Reply feature that suggests quick text or emoji responses to incoming texts. If your friend sends you a link to an article or a website like Gihosoft Android Data Recovery, you’ll have an idea of what you’re about to click on and see an inline preview of the link directly within conversation. When you receive a message with a one-time password or code from a secure site, you can save time by copying that password directly from the message with a tap. 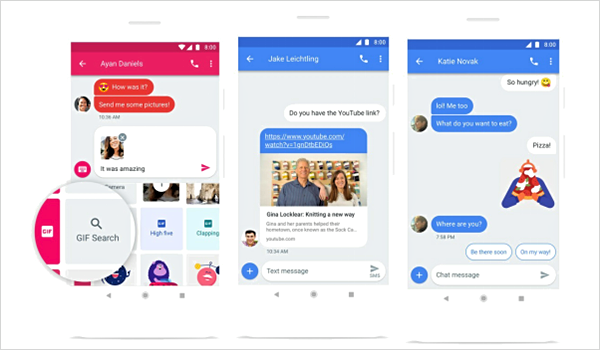 Have you learned the new features of Android messages? If yes, try it now! By the way, if you find this tutorial useful, please share it with your family and friends. Many thanks for your support!